We all know the power of storytelling by now, and if you don’t then have a peruse through some of the blogs on the aestranger.com site. But stories are usually long form, what if you simply don’t have the time to establish a basis, characters and a world to explain your concept through a narrative? Well in comes a more efficient method to save the day: the metaphor. Obviously, you also think you know all about metaphors too, just like you know about storytelling. But do you really know? Do you really know the strength that a metaphor has when you’re pressed for time, space or resources? Often when we’re trying to explain something quickly, which is frequently the case in today’s society, the best method to fall back onto is to use analogy and especially metaphor. It adds flair to an idea you want to get across, and it does so quickly so that your player keeps moving and get more from your gamified experience. But to use the metaphor tool effectively, let’s explore what a metaphor is, how it works and why it’s so useful when gamifying an experience. Well, that was efficient certainly, but it doesn’t really explain what a metaphor is in a way that we would like to use it. First, let’s make sure you understand what shapes a metaphor comes in and what we mean by a metaphor. Metaphors come in two sizes, the short metaphor, and the extended or sustained metaphor. In both cases, a metaphor is a type of analogy which creates a synthesis of two concepts. In other words, we take a source concept, a target concept, and blend the two together to create a new synthesized concept in your mind. Examples of other analogies and metaphors are allegories in traditional narrative, hyperboles, and parables for those of a more moral disposition. A short metaphor: The Big Bang Theory. That title alone offers enough imagery and recognition for your imagination that nothing else is needed. As you can see with these two examples, what a metaphor essentially has is the power to release imagery and understanding in an extremely effective manner. It is taking abstract ideas, such as the starting sub-atomic explosion of the universe, or that of human love, and placing these ideas in more concrete wording. Metaphors though aren’t just written, they also appear in visual terms. The first visual metaphor that we ever come across is our dreams. We dream in metaphors, that’s how our brain makes sense of complex experiences and emotions. Our minds are therefore primed from day 1 for visual learning. 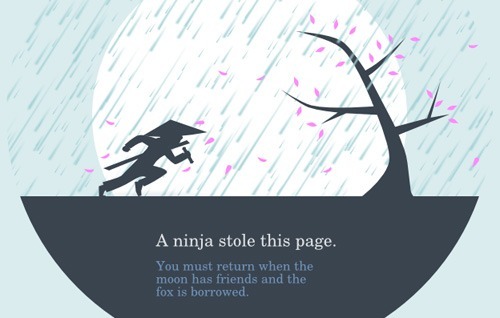 Take this example of the ninja having stolen a page, instead of the 404-error page. Is there a difference between written and visual metaphors in our brains? When you look at an image, like that of the ninja, which is accompanied by an evocative description, various areas of your brain become activated. Cognitive scientists have looked into this, with the use of fMRI scans and found that when metaphors are used, either visual or written, the corresponding areas of the brain that the metaphor relates to actually light up. In other words, if the metaphor is describing a smell then the olfactory area of the brain lights up, thereby letting us imagine or remember an associated smell relevant to the concept being described. This is of importance for us gamifiers, because it gives us a very powerful tool to help trigger certain emotions in our players. These then aid us in making the experience or concept either more appealing or repelling for the individual. And also, the more extended or sustained the metaphor is, the easier it is to understand, and the greater the retention of the concept is. Regardless of whether you’re using written or visual, both are effective. So, now we know, in either case, a metaphor is about thinking, imagining or experiencing one thing in terms of another thing; simply put. This, as it turns out, is actually a great way of describing what gamification aims to achieve. It offers one thing in terms of another, a non-game activity placed inside the concepts of a game experience. This also holds true for alternate reality gamesand live-action learning simulations. We could say that the metaphor allows for a metamorphosis of an individual’s experience from the mundane to something different and exciting. The Amazon rainforest acts as the lungs of the planet, burning it down will kill the planet, same as inhaling smoke kills the body. As the cliched phrase goes: a picture is worth a thousand words. 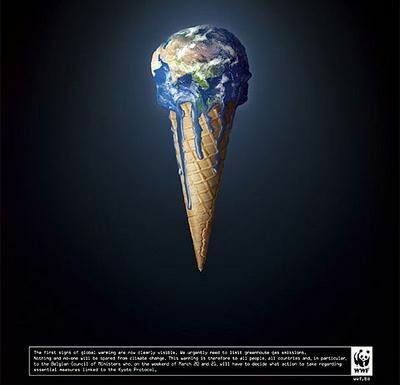 The image is eminently simple in its message, global warming is destroying the planet. And what it obviously hopes to achieve, as the previously written metaphor, is that it should motivate people to adjust their behavior and take the desired action. In this case to help avoid environmental catastrophe and our own inevitable demise. 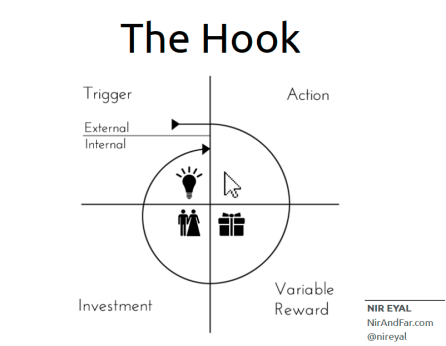 When discussing how to promote desired actions needed to alter, change or start a behavior, then a favorite among gamifiers is Nir Eyal’s Hooked model. 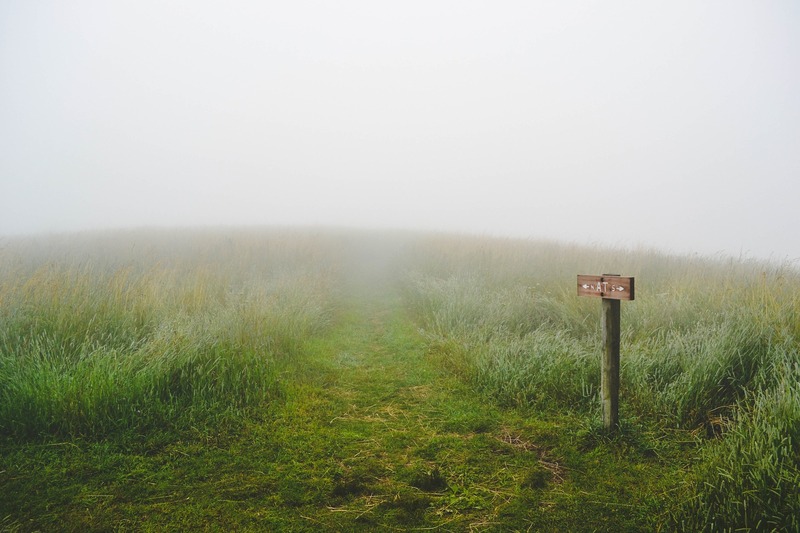 Which describes the journey required to lead an individual to take certain actions to achieve an outcome, that is beneficial to both them and to the company initiating the journey. The Hooked model starts with a trigger that commences the journey, this is where our use of metaphors jumps in. The metaphor as a tool is a powerful hook for our imaginations to latch on to and is an efficient way to promote the trigger for a (new) behavior. As our brains find it easier to grasp visual information, even imagined visuals, the overall knowledge and information is embedded far more firmly into the mind, and is adopted much faster, than if a metaphor were not used. Metaphors, therefore, create mental shortcuts in our minds. They ease the cognitive strain of your player’s brain so that they can get to grips with concepts far quicker and move through the experience at a far more effective pace. One word of warning though, as you may have realized by now, the use of such a tool can be very persuasive, if not manipulative. The expectation is that you not to use it to promote knowledge or behavior that can cause harm to yourself or others. But to rather use such a powerful tool to promote positive change in people and society. Metaphors thus are amazing at offering people unique and original ways to view concepts that have become familiar and dull due to the drudgery of modern life. Metaphors and stories are there to efficiently stimulate creativity and innovation in you and in your players. The metaphor tool is there to be used to open up the world for all to clasp, understand and enjoy.